May 5th is Cinco De Mayo, a holiday to celebrate Mexican heritage and pride in the United States. I only learned about this celebration a few years ago when I joined the blogging community and began seeing Cinco de Mayo posts up everywhere around this time of year. I enjoy Mexican food and often make fajitas, nachos and tacos. 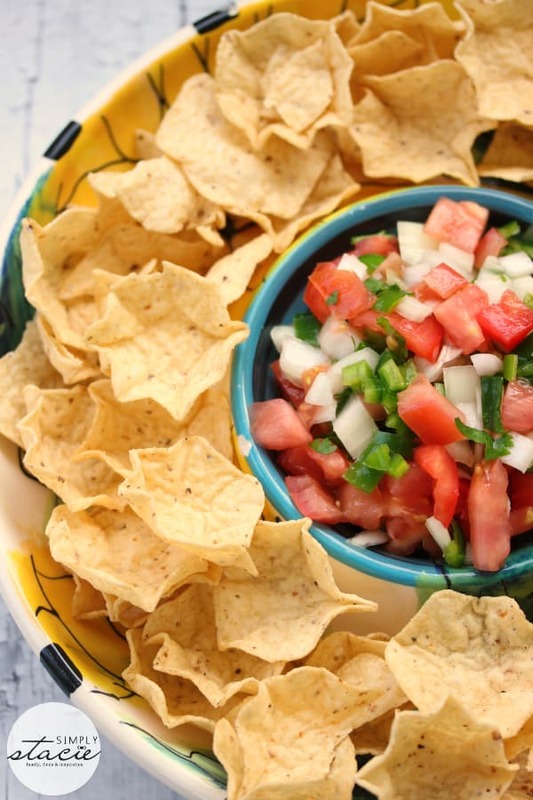 I love salsa and use it as a condiment on a variety of foods like chicken and pork. 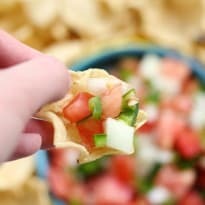 Pico de Gallo is something I started making on my own to use in addition to salsa on our Mexican meals. It’s also known as “salsa fresca”and it’s basically just a veggie salad with a little bit of lime juice. I used jalapeno peppers and serrano peppers in mine, but you could also try it with a different kind of pepper depending on how spicy you want it to be. I find this recipe to be on the spicier side, but not enough that it’s painful to eat. 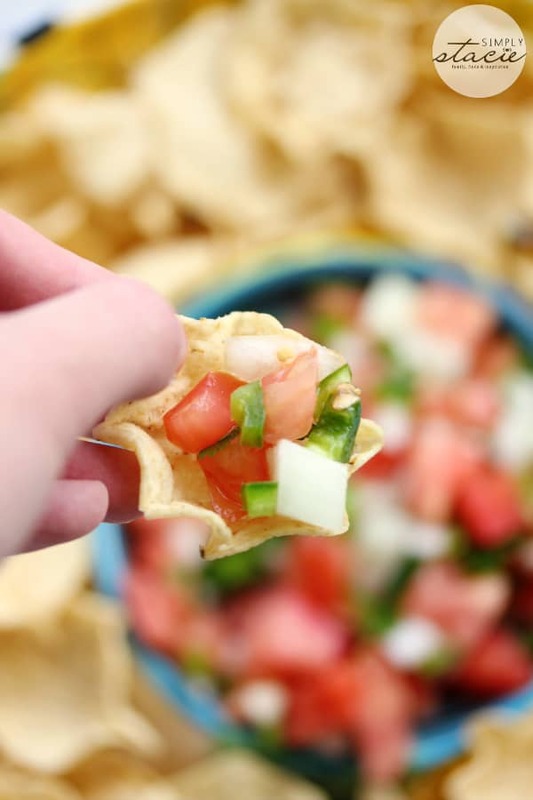 You can eat it on it’s own or serve with some tortilla chips. It also works well on fajitas. Pick up some fresh veggies from your garden or local farmer’s market and have a delicious, healthy side dish with your dinner. For more Cinco de Mayo recipes, try a Dragonfruit Mock Mojito, Mexican Rice, Chicken Mango Tacos, World’s Best Guacamole, Strawberry Margarita Mocktail , Quinoa Bacon Stuffed Jalapeño Poppers and Layered Bean Dip. I make mine with jalapeno peppers and serrano peppers so it’s a little on the spicy side! Combine all ingredients in a large bowl and mix together. Cover and let sit in the refrigerator at least an hour before serving. 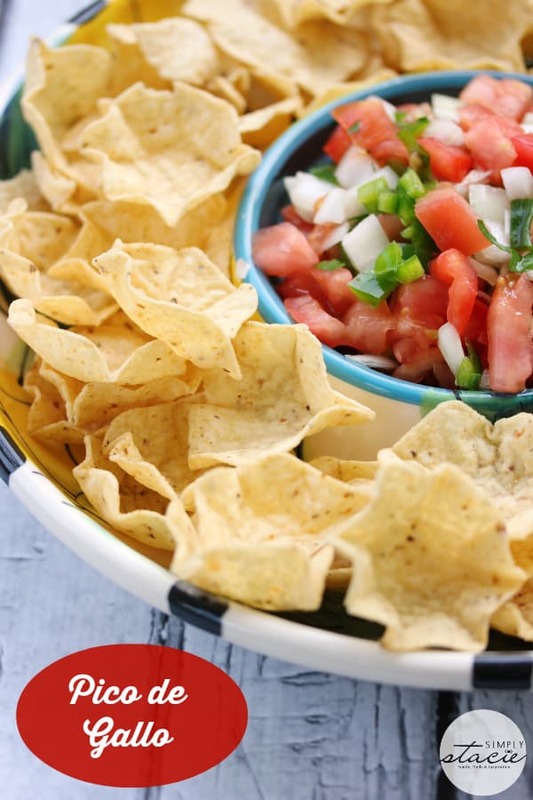 Serve with tortilla chips or your favourite Mexican dishes.